I just got this new E-flite Night Radian RC Glider and decided to review it for you guys. 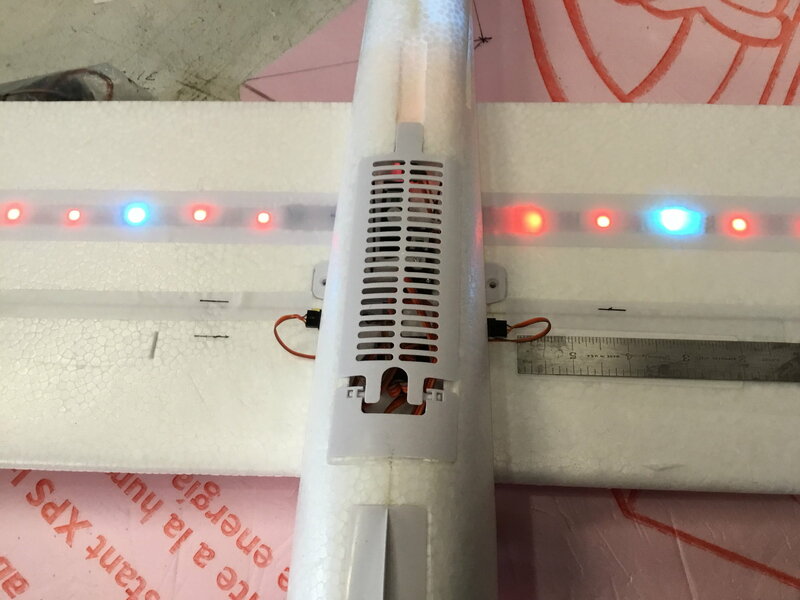 It has Flite Test stickers and is a 2M Glow In The Dark Powered Sailplane. In the video I unboxing it, go over the parts and pieces, show you what it looks like after assembly, provide a light demonstration, discuss the radio setup, and provide my review notes at the end. In this video I hand launched it in SAFE Mode, flew it around on power, did some gliding, and showed off how well it loops. You will notice that it is still a little nose heavy balanced at a little more than 3" with my Enfan 1500 lipo. When I moved the CG back to a little more than 3.25", it had a perfect balance almost 1" off of what the manual recommends. - The CG is printed incorrectly in the manual and may cause issues flying it. I found that a touch past 3.25" was perfect for my enfan 1500 lipo battery on the maiden flight. - The tape provided to hold the horizontal stabilizer is unacceptable. Use quality shipping tape instead. - Wires that connect the horizontal stab to the fuse are a free floating afterthought. 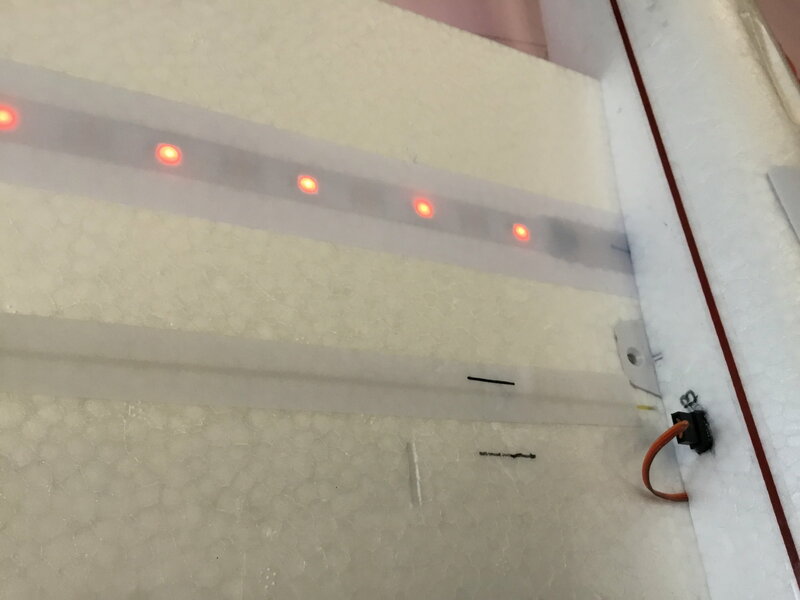 - The Servo tape that covers the wing lights underneath the main wing started to roll up after the first wing installation. - The LED wing wires are going to be a hassle every time this plane is flown because they are about an inch and a half too short. To help with this, I added some servo connector extensions. I highly recommend this! Others have complained about the CG in the manual being wrong. It should read 3" as a start point. I ordered mine in early September - expected delivery sometime in November. So much for shopping locally. You're welcome Max and I hope you have received yours by now! I took mine out flying in the dark with a buddy that has one too and it is a ton of fun! It needs light in the nose to help with visibility when flying at you, so try to fly at yourself with an angle so you can see it better. Light motion actually helps you see it better. I thought it would be the opposite, but I was not correct. Red, white, and green combos are the easiest to see from what I can tell. I hope this info helps you and others! I've just discovered that it's against the Law to fly RC at night in Oz - so that could be interesting. I've given up on any Australian dealer having stock any time soon, so I've ordered mine direct from Horizon. Installed short servo extensions on both sides of airframe and then plug the (to short) leads from wing in to them. I marked a B so I would remember witch way to plug the lead in. No more fighting to get the leads in and plugged in the small area. Last edited by cress; 12-27-2018 at 10:49 AM. We had a night fly for our Christmas party at our field. Our club Boffins discovered a loop hole. Not sure what it is - even after they explained it.